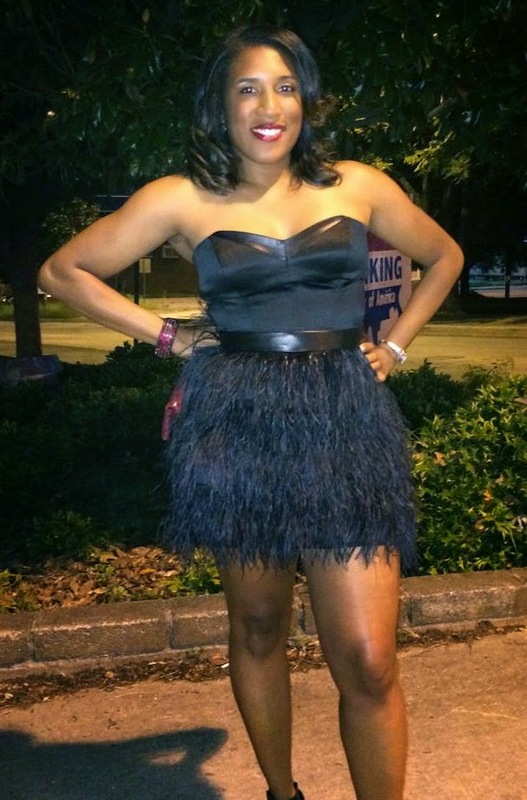 The Style Grad: Happy Birthday, Patsy! Today is the day: my cousin Patsy's 40th birthday! As mentioned a few weeks ago, Patsy came over to Europe with me and my mom before the start of my study abroad program. Though Patsy is technically my cousin, she's more like a big sister. She comes on our family vacations, checks in on me and my siblings, and is straight up one of the coolest women I know. Shoutout to Patsy for being the best. Patsy had a list of 40 things to by 40 and having a blog post written about her was one of them. So, clearly, I was more than happy to oblige. As a young woman myself, I realize how lucky I am to have someone like Patsy in my life. No matter what, I know she has my best interest in mind. Looking at her and all she has accomplished, just makes me want to work harder. I'm in college now and people really act like this is the end all, be all in terms of life planning. I always tell people that my cousin Patsy is an engineer by trade, but went back to school to get her PhD in Environmental Sciences. and that she is living proof that if you work hard and go after what you want, it all works out in the end. Also, beware that Environmental Sciences is the vague, Stephanie-isn't-smart-enough-to-explain-the- subject way to describe Patsy's work; it's really impressive, trust me on that. When I first saw that picture of Patsy floating around Facebook, I literally said, "Okaaayy, truee!" Like, turn up. A girl can only hope that she's still out here stuntin' like Patsy when she's older. Let's be real, 40 has never looked that good. Also, throwback because Patsy's always been beautiful. Patsy, I'm sending my love and muchos besos from Spain! I hope today, and this year, bring you all you have wished for!